B.Tech stands for Bachelor of Technology and is a professional undergraduate degree of 4 years duration. The B.Tech Admission offers numerous opportunities to the longing students for making their career in various sectors according to their specialization. For B.Tech Admission, one has to complete his/her 10+2 with science stream with Mathematics as the main or optional subject. Therefore, those who have made up their mind for B.Tech admission must choose the specialization according to their interest, skills, and caliber. Thus, below-mentioned are the specialization from which the candidates must select one to make their career in. Computer Science Engineering – This B.Tech course provides students the knowledge of design and the understanding of computer process and programming language. Also, there is a huge scope of computer science engineering since it helps the students to make their career as a system designer, E-commerce Specialist, computer programmer, Academic Research Editor, Software Engineer, Software Developer, etc. in both private and government sectors. Mechanical Engineering – Mechanical Engineering is one of the oldest disciplines of Engineering which work on the principles of mathematics, physics, and material science of design, maintenance, and most importantly the manufacturing of mechanical systems. 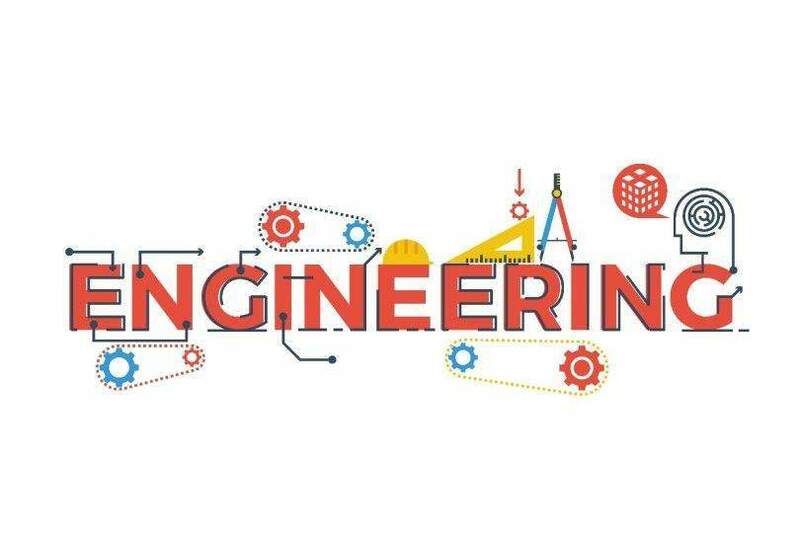 The career aspects after mechanical engineering are design engineer, chief mechanical engineer, thermal power engineer, nuclear engineer, tribologist, automotive engineer, etc. Electronics and Communication Engineering – One of the rapidly growing fields of engineering courses is ‘Electronics and Communication Engineering’. This course deals with software application and electronic devices. Furthermore, it is considered as an interface of chip level information technology and hardware. The job profile after completing the course includes Customer Support Engineer, Electronics Engineer, Senior Sales Manager, Service Engineer, Electronics and Communications Consultant, Research and Development Software Engineer. Petroleum Engineering – In this course, students study the production of hydrocarbons such as natural gas or crude oil. The course of Petroleum engineering opens the gateway for the top-notch government companies like HPCL, GAIL, HOEC, CPCL, ONGC, OICL etc. for the post of production Engineer, Reservoir Engineer, Drilling Engineer, Chief Petroleum Engineer, etc. Industrial Engineering – Industrial Engineering deals with the development, improvement, implementation, and evaluation of machine, production materials, scientific methods etc. The Industrial Engineering is the gateway to get into optimum companies such as Wipro, TATA, Infosys, ISRO, Reliance Industries Ltd, BSNL etc. and the job profiles are of Project Managers, Lean Coordinator, Industrial Production Manager, Management Engineer, Quality Assurance Manager, Operations Analyst, etc. Aerospace Engineering – In Aerospace Engineer, students are taught to deal with the development, design, testing and above all, the production of aircraft, and spacecraft. Moreover, there are numerous course options for the aerospace engineering students in Corporate Research Companies, Defense Ministry, Airlines, Aviation Companies, Aeronautical Laboratories etc, as an Aircraft Production Managers, Aerospace Designer Checker, Thermal Design Engineers in reputed companies like ISRO, ADE, HAL, NAL, DRDO etc. Electrical Engineering – It is a branch of Engineering that deals with the study of electricity, electromagnetism, electronics, and its applications. Further, this course offers the job profile of Operations Manager, Project Manager, Workshop Manager, Development and Test Manager in the companies that recruit the students of electrical engineering includes BHEL, GAIL, Tata Motors, SAIL, Hindustan Motors, ISRO, Jindal Steel & Power Limited, Durgapur Steel Plant etc. Aeronautical Engineering – Those students who are interested in making their career in aircraft, space shuttle, airplanes etc. An aeronautical engineer with the use of their technical knowledge designs, constructs, maintains, and tests the aircraft and spacecraft. After done with the aeronautical engineering, graduates can make their place in the reputed companies like Indian Airlines, HAL, Flight Clubs, NAL, ISRO, Air India for the post of Consultant, Assistant Technical Officers, Thermal Design Engineers, Aerospace Designer Checker etc. Chemical Engineering – Chemical engineering deals with the study of Chemistry, its principles, chemical properties, etc. Besides, doing this course given the opportunity to the passed out students to seek job in multinational companies, oil & gas industries, pharmaceuticals, energy industries, research organizations, food industries, and many others. Civil Engineering – Civil engineers design, build, construct and most importantly, maintain the private or government infrastructure projects. It takes the responsibility to construct roads, buildings, township planning & construction, port construction and others. For civil engineers, lots of job opportunities are available in reputed firms such as Black Cat Eng, PCC, PAC Constructions, Ralls Contracting, etc. However, for the B.Tech Admission after completion of 10+2 from any recognized board, there are top public institutions like IIT (Indian Institute of Technology) which is 23 in numbers and NIT (National Institute of Technology) which is 31 in numbers across the country. But to get into government colleges, one has to appear in the entrance exam like JEE Main. Therefore, JK Lakshmipat University could be a good choice for the B.Tech Admission as it is among the top colleges in the state of Rajasthan. Furthermore, it is approved by UGC and the curriculum designed here helps the students to keep steps with the technological innovation and make them future-ready professionals who can work in any environment and any related sector.